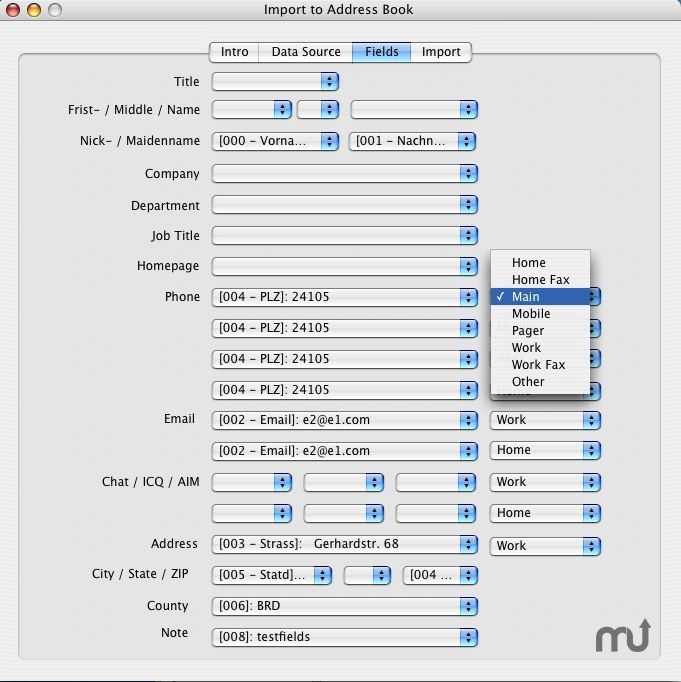 Import records into Address Book. Is there a better alternative to AB Transfer? Is AB Transfer really the best app in System category? Will AB Transfer work good on macOS 10.13.4? AB Transfer reads source data, figures out the input structure and finally imports new records into the OS X address book. Furthermore, AB Transfer exports whole address books or groups of address books as WEB.DE and GMX compatible CSV or Microsoft Excel files. AB Transfer needs a rating. Be the first to rate this app and get the discussion started! An enhanced version imports 'Act!' DBF files, except so called memo fields, since these are encrypted in a special way. A typical Act! DBF file contains no more that 2-3 memo fields. Other DBF database files might be imported too, but this has not been tested. 'AB Transfer with Act! option' is 49 EUR.